Join Chef Mina in the search for Nigeria's best dishes. Submit your dish and recipe to stand a chance of winning a 4 burner + Oven gas cooker. 2. 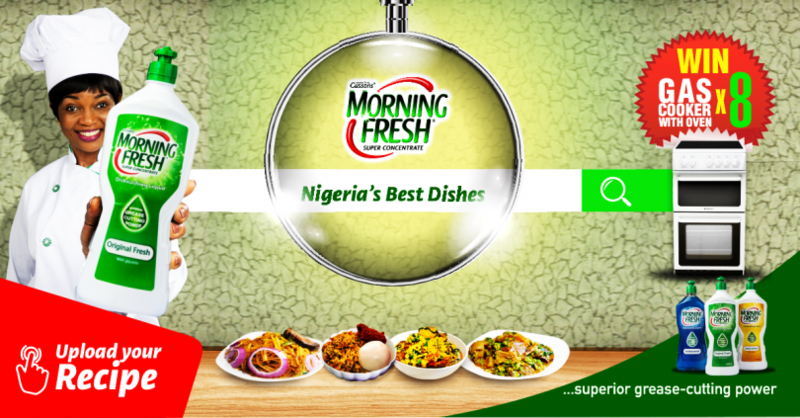 Upload a clear 3 in 1 picture collage of your dish, dirty dishes and squeaky clean dishes with a bottle of Morning Fresh. 4. Share your recipe to get your friends to like your entry so as to increase your chance of winning. 8 lucky people could win 4 BURNER GAS + OVER COOKER.